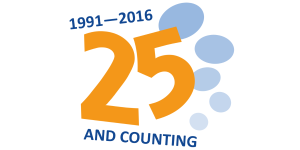 Our 25 & Counting celebration year is half way through! It’s been a great 6 months so far, and we’re really excited that 41 ‘partners’ have already signed up to Stand Up & Be Counted with us at The Door – wanting to play their part in helping young people and their families be safe, secure and reach their potential. Organisations – other local charities and the police showcased their work at our Open Day. We’re now working with 5 parish/town councils to transform their communities. Schools – we have developed our relationships with Rednock and Archway, and a number of primary schools are bringing their year 6s for a taster day in The Stroud Drop-in. Churches – continue to pray for and with us. We’ve been able to speak at several services, and have been blessed by volunteers. Businesses – established relationships become stronger, with commitment of finance, time and expertise. A number of new contacts have been made, with us benefiting from donations in kind. The rest of the year will involve lots more great developments, with a few exciting surprises in store too. We’ll be ending the year with the return of our patron, Mary-Jess, headlining our annual Christmas Presence concert in St Laurence church.